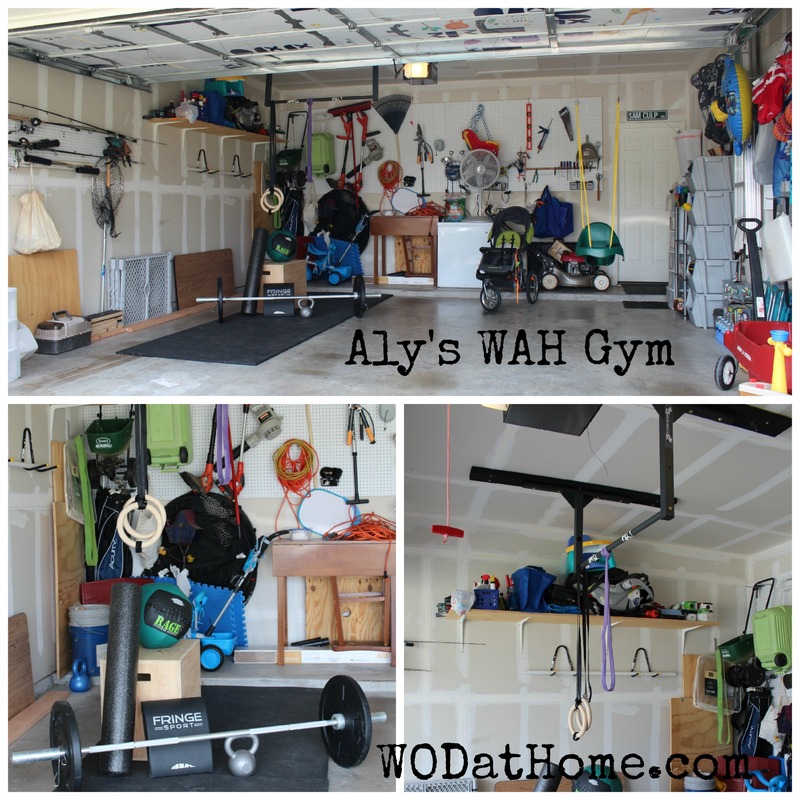 Coach Aly’s WAH Gym | WOD at Home | Full WOD programming for the home or garage athlete. I have been slowly adding equipment to my personal WAH gym. Here is my “finished” project. I say “finished” because I know I will continue to add a heavier barbell, bumper plates, and heavier kettelbells and med balls. I use my home more for practicing technique and not so much for the heavy lifting. 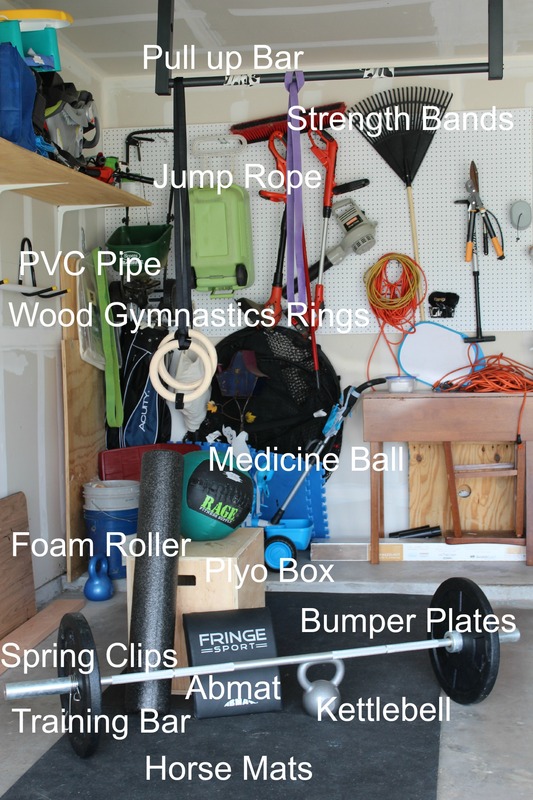 However, this equipment is everything you could possibly need to WOD at Home. Depending on your fitness level you will want to go up/down in weight(s) or may not need the strength bands, etc. I think it is also important to point out that my “gym” does not take up much room at all! Everything can be placed (shoved) against or hung on the wall and both of our family’s cars (a 4-door Camry and Ford Expedition) can be pulled in! 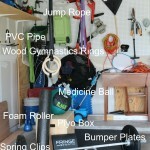 So here is my list of equipment, all purchased from Fringe Sport at FringeSport.com. I love that they have FREE shipping, amazing customer service, and reliable products. – Hi-Temp Bumper Plates 10lb, $49 ea. As stated earlier, all my equipment has been added over the past year or so. Some of the pieces I found most important and purchased first were the kettlebell, barbell, bumper plates, clips, jump rope, and Ab mat. For a while I used the door frame pull up bar, but quickly realized that kipping on that type of bar was challenging, so I splurged for the stud mount pull up bar. Definitely worth the purchase! 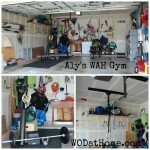 Have fun and let us know if you need help with your WAH gym! We would love to help or offer suggestions!